Mixing dough in-house robs you of time, space, team member availability and money — is it really worth it? You’re just three steps away from trading the hassle of scratch-making dough for the efficiencies of standard and custom pre-made dough balls! 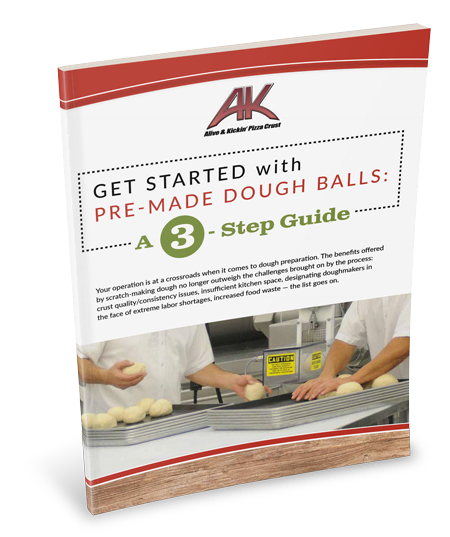 Get Started With Pre-made Dough Balls: A 3-Step Guide shows you how easy it is to partner with a dough manufacturer, especially when you rely upon your distributor for guidance. Complete the form to access your copy of this easy-reference guide now!